1. 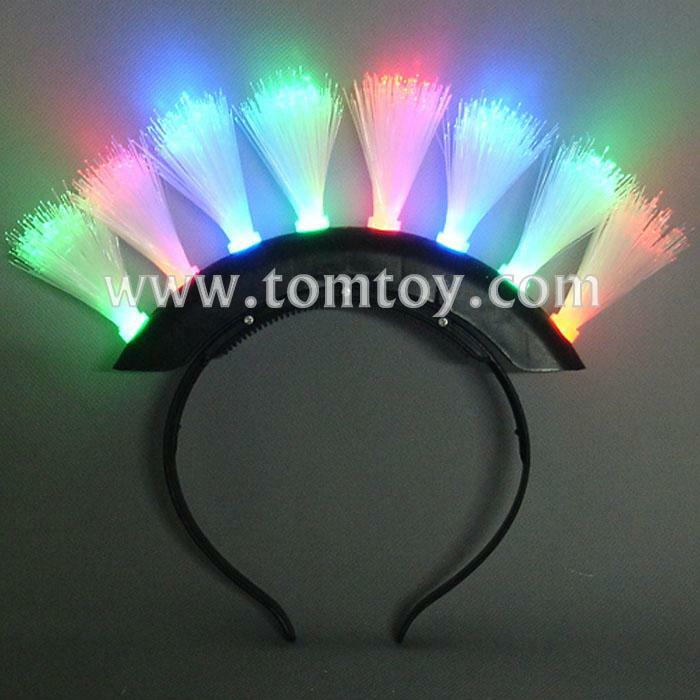 Our Mohawk LED Fiber Optic Headband is an exciting costume accessory for any occasion. Wear this light up headband at a New Year's Eve, Mardi Gras, or Halloween party. Also makes a great party favor or prize. 2. The headband has 8 bunches of fibre optics which light up red, blue and green. 3. The headband features different functions which include, all flashing at the same time and chasing function. You will be sure to stand out from the crowd and have lots of fun with this fantastic product.